Happy New Year. 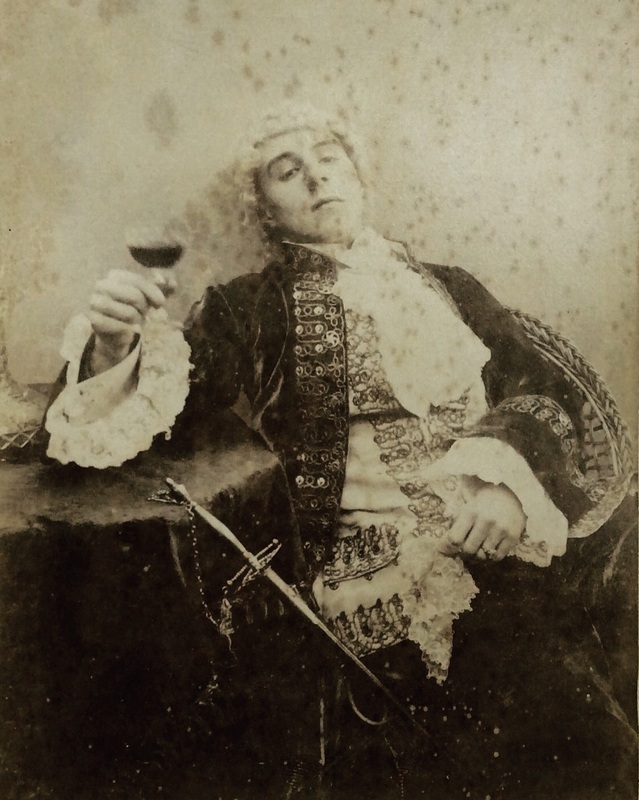 I will be hauling myself to work tomorrow in an effort to look willing and tie up loose ends and shall then be heading northwards on Friday morning where I shall be rendezvousing with some of my paternal family, and best of all (sorry dad) the Scottish one. Before I go I need to gather up all the tissues which have fallen like a New York blizzard around the place, choose some books, pack some warm clothes, oh and all the other things you need to do before a few days away. There’s a vague forecast for snow so perhaps the scenes of last year will be repeated, I’m half hoping they will be, until I remember the drive home that is, but whatever happens (bar power cuts, please no power cuts, I want a holiday not a deep freeze) spending time with family, good books, good whisky, and of course the Scottish one is going to be a great way to end one year and start another. In an effort to beat ‘The Cold’ which is laying me low I’ve spent most of today in bed asleep – not even the energy to read, but what was left of the afternoon has been spent staring at old episodes of Marple and looking for entertainment online. Two things have cheered me up immensely the Daily Otter – otters bought to you every day. What could be better than an otter every day? 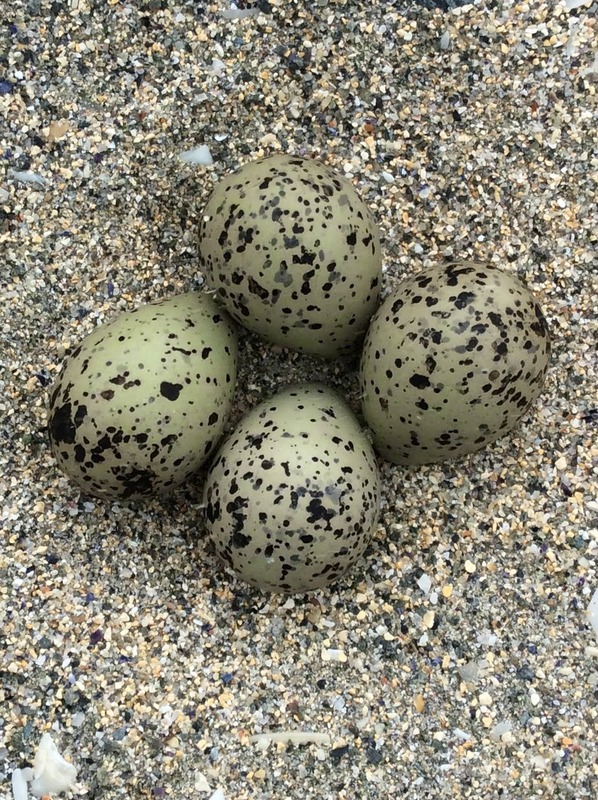 I’m not so bothered about the pacific otters (crikey – jingoistic prejudices regarding foreign otters, whatever next) but basically this blog has unfailingly cheered me up since I discovered it a week or so ago. There’s a sliding otter I’m particularly taken with. The day after Boxing Day, which might still be Boxing Day because I don’t really understand the bank holiday arrangements. First off I need to make a confession – I have a cold, or perhaps that should be a COLD. The confession proper is that I react to this in the manner of a man in a boots add (as opposed to a real live man who probably makes a lot less fuss about than I do.) I feel rotten, but no amount of suggesting that losing a sense of smell is a terribly disorientating experience for a wine person seems to convince people that I might not actually live to feel good again... Currently I’m a bundle of blankets considering the merits of rum toddy v whisky toddy and looking forward to Miss Marple (winning over ‘Upstairs, Downstairs’ because of add breaks which will allow for more toddy’s if the need arises). Before I was struck down by this horrible illness (it’s a real illness honestly) my head was full of Elizabeth Von Arnim’s ‘The Caravaners’, but now it seems to be full of snot I’m holding off until I feel less sorry for myself. (I had mixed feelings about this book and don’t feel it’s entirely fair to try and assess it through a haze of self pity.) What I’ve been doing instead is scouring amazon for upcoming books and trying to work out what bookish things are exciting me about 2011. The answer is actually not very much at the moment. In the aftermath of Christmas and Birthdays I feel pretty well provided for on the book front and perhaps also a little out of touch with what’s on the horizon. So far all I’ve spotted are the two new River Cottage handbooks (Pam Corbin on Cakes which is intriguing, and Mark Diacono on Fruit which is truly exciting –to me at any rate). The other big event and I have to wait until August for this, is Vintage republishing a clutch of Stella Gibbons. There are some that look like they’re coming out officially and some which I think might be print on demand, ever since Virago bought out ‘Nightingale Wood’ a couple of years ago I’ve wanted to be able to get my hands on more so this is very exciting. 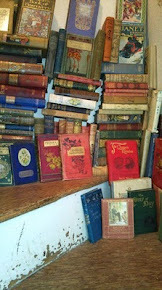 Other things I’m looking forward to on the book front in 2011 include furthering my acquaintance with Trollope, I plan to finish the Barchester books and probably try either ‘Rachel Ray’ or ‘The American Senator’. This is also the year I want to tackle Sir Walter Scott as an adult (a childish passion for Ivanhoe is not enough anymore) and actually read some of the Edith Wharton I seem to have collected – I got three for Christmas and they all look good. I’m also on the lookout for something tempting to balance all this nineteenth century stuff – mind you nothing later than 1950... I think this is the shape that the next month or two will take book wise, I’m off to the borders for a few days to celebrate New Year (and some uninterrupted reading) so need to give some proper thought about what to take with me. Something long because I’ll have the time for it and something short so I feel I’ve been productive I think. And now the Toddy’s are calling and my tissues are just out of reach so I think I really have to move. I hope everyone else out there has happy reading plans to look forward and finds themselves infection free! And it is cold outside (and in) I’ve been delivered from the warm comfort of my mother’s house to a cold comfort flat. The heat is coming on slowly but in the meantime I’ve eaten far too much chocolate in a probably misguided effort to warm up, and some very good carrot and whisky soup (which my mum sent me home with, I love my mum) which actually has warmed me up. My brief Christmas break is all but over – I’m back at work in the morning (and none too enthusiastic about it) so I have a few brief carefree hours left in which to curse the freeview box for breaking down (though blessing the fact that my very old second hand television works well enough without it to let me see ‘upstairs downstairs’ later) and play with my new books. One of the things I struggle over with Christmas is that from a retail point of view it dominates the year, one way or another it’s been on my mind since august and has left room for little else since the beginning of November. Now it’s the 26th of December and it’s all over – not a slow wind down to match the slow wind up, but an abrupt finish which no matter how many years I spend in this business I’ve never managed to get used to – perhaps it’s why I love new year so much; it feels like a second chance to enjoy friends and family, but with all the pressure taken off. 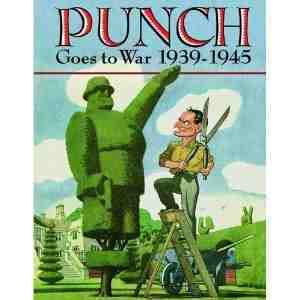 Care of my lovely mother I have a stack of Trollope’s and Wharton’s to read – all very exciting, but the book that really absorbed me yesterday, and seems entirely appropriate to match against BBC 2’s day of war films is ‘PUNCH Goes to War 1939 – 1945’. I’ve wanted this ever since I first saw it a month or two ago. I was a great fan of Punch from when I discovered it sometime in the 1980’s until it folded in the early 90’s (the briefly resurrected magazine was not the same thing). I spent happy hours on rainy days looking through bound albums from the 1880’s at my father’s (searching for jokes I understood) and fascinating hours looking through similar albums in university libraries. 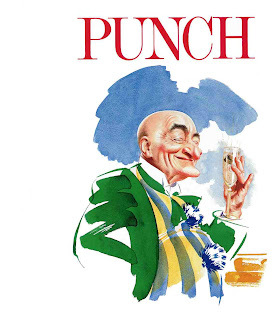 ‘The Best of Punch Cartoons’ cheered me up whilst I was recuperating from surgery a couple of years ago and ‘Punch Goes to War’ saw me through a family Christmas – what more can I say! So far my favourite shows a young lady waiting on the quayside as a fleet comes into harbour – a dockhand is telling her “ ’Ere comes the Liberty men, miss.” To which she replies “Thanks, but I’m waiting for the ones from the ‘Undaunted’”. Any way I look at it this is a book of treasures (so glad my many hints weren’t ignored) which I’m very pleased to have and anticipate much further enjoyment from. This is the first Christmas Eve I’ve not had to go to some kind of work since 1995 and I have to say it’s bloody marvellous. So far I’ve seen a man in Waterstones dressed as a reindeer (he may have looked hot and bothered but I applaud his dedication to the cause – whatever it is - he looked a lot better than the girl in fairy lights), bought some chestnuts and a pair or warm woolly tights, and wrapped my presents with hours to go. Seeing as I could have stayed in bed all morning I was even up in time to hear the Popes thought for the day on radio 4 and perhaps best of all, but also very poignant, I’ve watched ‘The Snowman’. As a child living on an Island with very few other people Christmas wasn’t nearly as exciting as the start of summer which bought another family with it. The Buttons had a daughter just between me and my sister in age and how we envied her – she had a swing, a cup with a frog in the bottom, grown up brothers and sisters, and blond hair. A gap of thirty years has left vague but happy memories of those summers but I can feel that happy anticipation like it was yesterday. Emily’s father was an animator, all round gifted artist, and lovely man, among other things he worked on ‘The Snowman’. Sadly he passed away earlier this year, so this Christmas as well as wishing everyone all the best for the festive season I’m also raising a virtual glass to absent friends. Having had the time to stop and think about people today has been lovely, and possibly the best Christmas present I could get. And now I’m off to enjoy the snow! Happy Christmas. For some reason unknown, but most definitely exacerbated by a ‘career’ in retail I don’t really like Christmas very much, I should perk up about in time for the Dr Who special, will enjoy boxing day (hopefully mostly from bed with a pile of books), grit my teeth through a further few days at work (both bank holiday days thank you very much) until finally fingers crossed I will get on a train on New Year’s eve that will reunite me with the Scottish one in Scotland where we plan to spend quality time by the aga or by the fire. Leisure activities will basically revolve around whisky and books. Sadly it will be an all too brief break from the everyday but I’m really, really, looking forward to it. Meanwhile in-between trying to keep warm and trying to stay sane (that would be Christmas in retail again) I’ve been trying to get into the spirit of the season through mince pies and a flirtation with Dickens. The mince pies have been great, the Dickens a little more mixed – he’s one of my literary blind spots (don’t dislike what I’ve read, never seem to muster the enthusiasm for more) but I’m not prepared to give up just yet so thought short stories might be the answer. Hesperus have bought out collections ‘conducted’ by Dickens from Household Words (I’m guessing as they mostly have a Christmas theme that they come out around this time of year). I’ve had ‘The Haunted House’ for years but never paid much attention to it until I got a copy of ‘The Holly Tree Inn’ back in November. I like short stories generally and have been loving all things Victorian recently so here I am one (and a half) collections later wondering if I’ve been converted to the Dickens side or not yet. ‘The Haunted House’ is a little bit wintery and doesn’t have much supernatural activity but does have contributions by Wilkie Collins and Elizabeth Gaskell. It also has a long (to me very dull) poem by Adelaide Anne Procter which I had to force myself to finish, it was a touch too Victorian even for my taste. Otherwise this collection scores on all points. Humour, romance, adventure, just a touch of horror – all present, correct, and splendid reading for dark cold bus journeys. 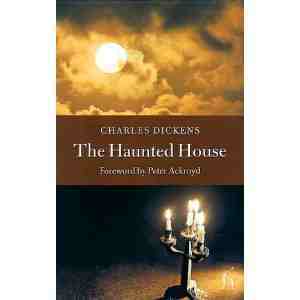 I’m also quite pleased to say that I really enjoyed the Dickens contributions; the way he sets the scene and expounds on the problems of keeping servants in a haunted house is just joyful. I had meant to go out tonight, but as well as having not a thing to wear I got home tired, grumpy, cold, dirty, aching, whiny, and hungry – essentially a full complement of miserable fairy tale dwarves and very bad company for my old (yet still 5 days younger than me) friends birthday. I could also add sulky to the list because the vital amazon package dispatched on the 7th expected from the 11th IS STILL NOT HERE. My godson (who won’t notice) won’t get his Christmas present on time. 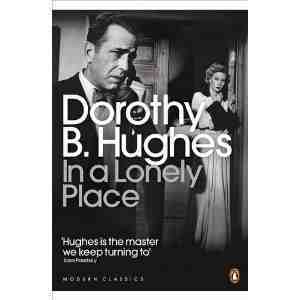 When I picked up ‘The Blackbirder’ to read a week or two back it was because I’d just got myself a copy of ‘In a Lonely Place’ and thought I should read the old Hughes first. I’ve been also hoarding in the manner of a book squirrel recently earmarking everything for the 10 short days off I’ve got looming in the new year, but have reluctantly admitted to myself that I can’t haul 20 odd books away with me (not if I want clean socks as well)(I want clean socks). Long story short I went straight from ‘The Blackbirder’ to ‘In a Lonely Place’ which turned out to be a good thing. 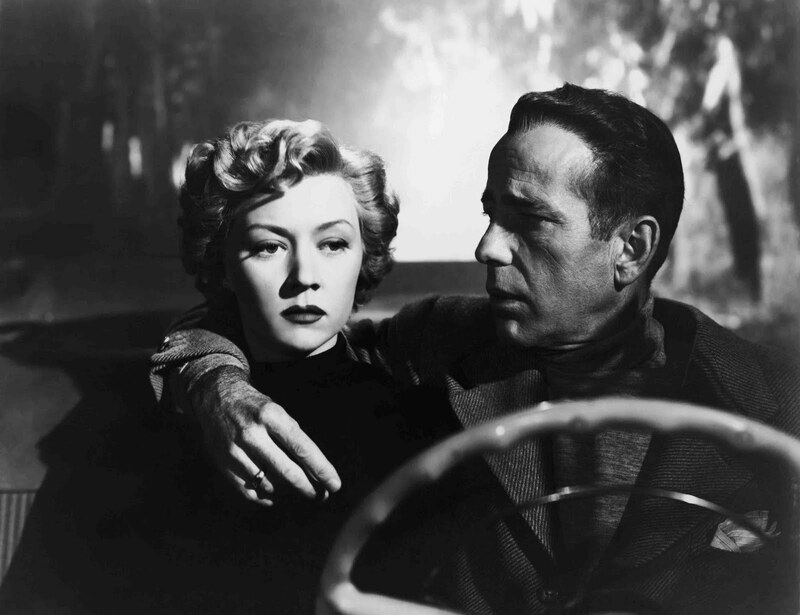 I was vaguely disappointed by ‘The Blackbirder’ but very impressed with ‘In a Lonely Place’. It’s not as if ‘In a Lonely Place’ is without faults; the end is sort of rushed and not entirely convincing but basically it’s a thrilling, chilling, very hard boiled and nicely twisted sort of story. It opens in the middle of a sea fog with a man watching a woman thinking about how he might approach her, how she wouldn’t be scared – at first. This is Los Angeles in 1947 and a serial killer is on the loose, every month a girl is raped, strangled and dumped and he’s clever enough to leave no traces. This is the situation when two old war comrades meet, Dix Steele and Brub Nikolais. They flew together in the air corps – for one man the war was the high point of his life and he’s come out without job or purpose. The other has put it behind him, is married and an up and coming detective. I can’t say anything else without giving far too much away, and hope I haven’t done so already. From the very first page it seemed very pretty clear who the guilty party was going to be, it also seemed equally likely that this was a red herring – which is I think Hughes’ strong point. As a reader I’m never very sure about where I stand which is something I love here, it keeps me on my toes and more than makes up for any plotting deficiencies (in a good way – I was so wrapped up in thinking through the issues that Hughes raised I could have overlooked a great deal more than an overly intuitive blonde or two along the way). What is interesting is reading a book written by a woman about a man whose killing women and why. It’s also a dark, tense, entertaining read which proved an excellent antidote to the season. It’s just what I’ve always wanted! It’s also my birthday on Monday but due to work a fair amount of celebrating is being done tomorrow so I think I’ve got 6.5 waking hours left to get organised to a point where I can let people over the threshold without being judged a domestic disgrace. No pressure there then. Meanwhile the books I want to talk about are piling up and I’m beginning to think some sort of list is in order, the sort of thing that will give an illusion of order until I inevitably lose it. If there was a list top of it at the moment would be ‘Tea at Fortnum and Mason’. This was an impulse purchase that I pretended would probably be a present but I’m telling you now that this little beauty won’t be leaving my kitchen. Afternoon tea is something I love and something I’d like to indulge in far more often. I had one book dedicated to the art already and very inspiring it is too but ‘Tea at Fortnum and Mason’ is both beautiful to look at and full of good stuff to bake – how could I not find space for it on my shelves? I was initially attracted by the green and gold cover and then further seduced by the very pretty illustrations (fine china, fine fabrics, and fine looking cakes) I didn’t even pay much attention to the actual content at first but now I have and can report that there is an interesting history of tea drinking, a history of Fortnum and Mason’s (which is one of my favourite shops anywhere – partly for the window displays, mostly because walking through those doors is like walking into a fantasy of English gentility. It’s the Mitford sisters in shop form.) Excellent and useful tea tasting notes (they appeal to the wine geek in me – a good tasting not will always impress!) and of course some very nice recipe’s. I’ve made the marmalade which has been uniformly enjoyed and have earmarked some excellent looking rose biscuits (with almonds and crystallised rose petals), honey and lavender loaf cake (flavoured with tea as well), and a coffee and walnut cake as immanent future projects. Despite vague intentions I don’t seem to be much good at joining in with things so I’m more than a bit pleased to have managed to synchronise myself with the classics circuit trip round Trollope. I’ve been waiting to grow into Trollope for the best part of the last two decades, 2010 has been the year that it’s happened and I’m feeling very celebratory about it not least because there are so many books to look forward to... I’m now half way through the Barchester Chronicles and feel that I’m beginning to get the measure of the man, only beginning mind you, but in ‘Dr Thorne’ I think I’m starting to detect patterns and quirks of style. I will warn you now – there’s a very high chance of plot spoilers in the following post, but one of the things I find I really like about Trollope is that plot isn’t really important; it’s simply a device to explore a moral dilemma with. In ‘Dr Thorne’ that issue is legitimacy and class. Briefly the Dr Thorne of the title stands as guardian to his niece Mary – she is the illegitimate daughter of his dead brother and is in every way an exemplary young woman. In her uncle’s eyes she is not only an angel incarnate but absolutely his niece, but legally she has no real right to the name she bears, no recognised position in society, in short (and crucially) she has no ‘blood’. Dr Thorne is himself a connection of the Thorne’s of Ullathorne – a family that has made a cult out of blood, he is also near neighbour, friend, and doctor to the Gresham’s of Greshamsbury (the foremost family of commoners in Barsetshire) who have also made a cult out of blood (can you see where this is going?). Almost accidentally Mary has been bought up with the Gresham children on terms of near equality and by the time the action starts the Greshamsbury heir (young Frank Gresham) is coming of age, something he celebrates by proposing to Mary Thorne. To complicate matters further the Gresham’s are bankrupt; Squire Gresham married an earl’s daughter and has spent his marriage paying for her idea of a supportable lifestyle – not something even his once very respectable fortune has been able to keep up with. Now young Frank is a decent sort, young but true and once he’s plighted his troth he’s determined to keep his word, Mary is a young woman of integrity and principle and equally determined to do the right thing so as she becomes aware of the reality of her situation she tries to release him from his promises. Frank must marry money to do his duty by his family but how can he do this and remain a decent sort? And indeed what if Mary was to acquire money, would that make her lack of position acceptable to the rest of the Gresham’s? Well it just so happens that Mary is a possible heiress to an unlikely but vast fortune, her uncle is aware of this but is determined that she will be accepted on her own merits and so the scene is set. What’s more important money or birth, and what actually makes someone a lady or for that matter a gentleman? So much for the moral dilemma, now for what makes this such a good read; it’s a book full of Trollope’s gentle humour, there are some exquisite character sketches, and there’s something of a culture shock. I also get the sense that Trollope really cares about his characters; the young man destined to die so that Mary can inherit twists and turns off the page, caught between being a villain in the piece, and a man deserving all our sympathy. I really feel that in a different book he might have been reformed into the hero - of all the characters in the book he’s stuck with me the most as a compellingly real personality up to and including the unfortunate and eventually fatal predilection for liquors. I’ve only scratched the surface here, I have a long set of notes and questions attached to ‘Dr Thorne’, and am extremely hopeful that someone out there will not only share my enthusiasm for this book but challenge some of my ideas about it. Trollope so exactly fits my reading needs at the moment that I want to shout about him from the roof tops, but mindful of how long it’s taken me to get to this point I’m trying to be restrained. 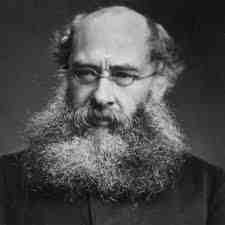 With other Victorian writers I’m generally looking for something sensational or nostalgic, I find myself turning to Trollope because he makes me question and think, and so far it’s proving to be a very rewarding relationship for me. Thanks to a day spent in the kitchen I have a stack of recipes I want to share, and a similar stack of cookbooks I want to rave about – it’s all terribly exciting (for me), indeed I’m so excited I hardly know where to start. Perhaps with an apology to the lovely delivery man from DHL. Gary (that’s his name) got back to me this afternoon after the dozens of dropped calls I left on his mobile to say he was outside my door. I was a good quarter of an hour away but the dear man promised to wait if he couldn’t get someone to take charge of my parcel. He even phoned me back to give me a progress report, so I take back everything I said. Someone who’s prepared to come out on a cold icy Sunday making sure I (and others) don’t have to go to Loughborough is someone who deserves the highest praise. And now back to the kitchen – I’m quite proud of having made a successful batch of fudge today. I’ve tried before and ended up with a gritty, sticky, sugary mess. Not very nice. This fudge however is really pretty good, in the manner of an obsessive fudge maniac I’ve been comparing the recipe I used before (Nigella) and the one I used today (Hope and Greenwood). Today has much more in the way of detail and that’s clearly the way forward for a recipe pedant like me. The fudge is smooth, creamy, and sweetly delicious with just a hint of saltiness at the finish (I don’t even like fudge very much, more than a very small piece gives me a horrible headache, but none of that’s stopping me feeling ridiculously pleased with this stuff). The Hope and Greenwood book ‘Life is Sweet’ is one I got last year, was hugely enthusiastic about at the time and then totally failed to use, I plan to spend serious time with it in the new year. I also used my sugar thermometer (a present from my dear dad last year) for the first time – turns out it makes all the difference. Place the sugar, butter, evaporated milk and cream in a heavy bottomed pan (one with good deep sides) and gently heat until the sugar has dissolved stirring all the while with a wooden spoon. Introduce the sugar thermometer to the pan and turn up the heat to medium, bring the mix to boiling point, stirring regularly to make sure it doesn’t stick on the bottom. After 15 minutes it should have reached 100°c (212°f) at which point lower the heat as this is the danger point for burning. Keep heating until it reaches 115°c (240°f) (soft ball...) this took far longer than I would have believed possible. When temperature is reached take off the heat and start to beat with an electric whisk – carry on for about 7 minutes and then add the vanilla seeds, carry on beating for another 5 to 7 minutes or until the fudge loses its glossy look and gets grainy round the edges. Just at the last minute add a good pinch or two of salt and whisk that in to. Dollop into the prepared tin, smooth down and leave to cool. After about an hour score into squares and when it’s finally set (another couple of hours at least) snap into bits ready to share round else you go into some sort of sugar induced coma. It’s still really quite cold (both inside and out) and I’m being kept from the hot bath I’m longing for by the possibility of a delivery from DHL who claim they keep going until 9pm. I don’t care that the country grinds to a halt every time it snows (although it’s frustrating that my bus will turn up and get me to work pretty much on time in the morning rush hour, but will be half an hour and more late when the roads are clear at night) but courier companies really annoy me. I don’t drive – which is just one of the reasons I sometimes shop on line. I do work, which means I’m not available during work hours in the week, please dear God someone tell me why couriers only do domestic deliveries when people are at work, and only have depot’s where non drivers cannot possibly hope to reach them? And furthermore how am I meant to get my parcel from a depot that’s not only inaccessible, but also only open when I’m at work? And another thing – even if I manage to get someone out to the back end of nowhere on my behalf (Loughborough for heaven’s sake) I first of all have to give them the delivery card and my passport, and if it’s not done in a week the package is returned to sender. And (there’s more) if the delivery driver is going to put a phone number on the card why won’t he answer? So – back to marmalade. Marmalade is a bit of a preoccupation with me, after years of thinking I didn’t like it one day I found myself staring at jam in a supermarket wondering why there wasn’t a really good bitter orangey version. At which point the penny dropped, I tried marmalade again and found I’d grown into it. Since then I’ve been making my own which is hugely satisfactory (there’s a real witches cauldron element to stirring up the boiling mixture that I love) but so far I’ve been fairly faithful to one recipe (I experimented with Lemon and Lavender but was a bit take it or leave it over the results.) However I did recently purchase ‘Tea at Fortnum and Mason’, it was meant to be a present but frankly it’s looking unlikely that I’ll be letting go of it. It has a recipe for Seville orange and Whisky marmalade which looked intriguing because it uses brown sugar and as I had a bag of Seville’s lurking at the back of the freezer I thought I’d give it a go. For any other keen novice marmalade makers out there this is the second time I’ve used previously frozen oranges and it seems to make life a lot easier. They defrost a little soft so don’t need to be boiled for so long, the inner orange comes out super easily and the skin is then perfect for fine slicing... At first I wasn’t sure about the flavour of the sugar I thought it might be a bit overpowering, but having had it on toast I can confirm its damn fine and I think it’s going to be excellent in the river cottage chunky fruit cake I’ve become so fond of recently. Finally add the sugar and heat gently till it’s all dissolved – give it a good stir to help it on its way and then boil vigorously for about 15 minutes, at which point it’s time to start testing for setting point (yes time to mess around with cold plates working out if it’s wrinkling or not). When setting point has been reached add the whisky (I suggest letting it cool just a little first because adding alcohol to boiling sugar has dramatic results – which was news to me) boil again for roughly 5 more minutes to get back to setting points. Let it sit for a couple of minutes and then pot up. ‘The Expendable Man’ is one of my favourite Persephone books – it’s a pitch perfect thriller which I found unbearably tense and almost equally thought provoking. It has one of the best opening sequences of any book I’ve ever read and is generally a cracking good read that I can highly recommend. It was also my first brush with Dorothy B. Hughes and ever since I’ve been vaguely looking out for her books. 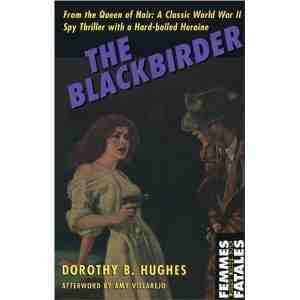 Some cursory research revealed that Hughes was a reasonably prolific writer of Noir fiction and that most of her books are in print one way or another and so I did precisely nothing about it until I picked a second hand copy of ‘The Blackbirder’ which I was quite excited about and then proceeded not to read for a couple of months. However a combination of the weather which has been begging for something a little bit Noir, and just finishing Trollope’s Dr Thorne and wanting a total change of pace, made this feel like a good time to pick it up again. ‘The Blackbirder’ was written in 1943 and is set about the same time; it starts in a New York rathskeller then careers across the country ending in Santa Fe. The heroine Julie, a refugee from occupied Paris, is running for her life from the Nazi’s, from her family, and from the FBI. She keeps bumping into a grey man who claims to be a recuperating RAF pilot, but may be Gestapo, or possibly FBI. There are also a couple of corpses – they may have been Nazi’s, or they may just have been standing between Julie and her pursuers either way she has to keep moving before the police get involved. Oh and there’s a diamond necklace and of course the Blackbirder himself – a shadowy figure who’ll smuggle you in or out of Mexico for a price. If that sounds confusing it was. In another mood this book would have appealed far more to me, but a mix of high expectations and a head full of Barchester affairs didn’t do it any favours. The hard boiled style felt almost like parody which is unfair because it isn’t, but I do think it’s a bit of an odd beast born out of a specific time and place in history. Julie the heroine is a good example of this; bought up as Julie Guille niece of the Duc de Guille (a sneaky collaborator) she is also Juliet Marlebone heiress to her father’s fabulous fortune (which the Duc has designs on). She uses both identities and despite having fled Paris alone and unaided at the age of 19, crossing Europe on foot whilst evading the Gestapo, escaping to Havana, and then being smuggled into the USA the best part of 3 years later it seems she can’t leave her room without bumping into an old acquaintance, none of whom fail to recognise the fashionable young thing in her present guise of a poor and badly dressed refugee. Julie thinks nothing of raiding a corpse for possibly incriminating evidence, travels with her toothbrush in case she needs to make a run for it, can fly, shoot, likes to sing whilst she irons, can look glamorous with the change of a hat, is not put off by finding herself trapped in a house full of Nazi’s in a Santa Fe blizzard, has no compunction about stealing cars, and can expertly knock out a rival with a torch. Americans don’t seem to expect much of their women. Now reading all that back I find myself thinking that it sounds brilliant, just my cup of tea, but I would have liked this better if the paranoia had been taken down a peg or two, and if there hadn’t been quite so many plot twists. Not knowing which side someone is on is one thing, but there are too many contradictory explanations from the author and far, far, to many coincidences for me to enjoy the whole thing at face value. It does make me wonder however just how concerned Americans were about fifth columnists and what their home front was like. I’m very used to thinking that the war didn’t touch the USA in anything like the way it touched Europe but ‘The Blackbirder’ has made me think that perhaps I should bother to find out a bit more about it. The two don’t really have anything in common bar the blonde tearing me away from my armchair and its plethora of activities this evening with bribes of cultural activity. 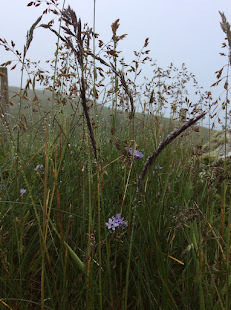 The local theatre has had a Friel festival going on for the last few weeks and she was determined we should go – so off we went tonight for ‘Translations’. One of the things I really love about living in a city is that we can turn up at a theatre (I also love living within walking distance of a theatre) on the off chance and get cheapish standby tickets. I know next to nothing about Friel, but enjoyed ‘Translations’ and would recommend it to anyone who has an interest in language, identity as it relates to language, and Irish history and culture. The blonde is passionate about all of those things so delighted with the play. I’m quite interested in all of those things and was delighted by the scent of peat as we walked into the theatre. 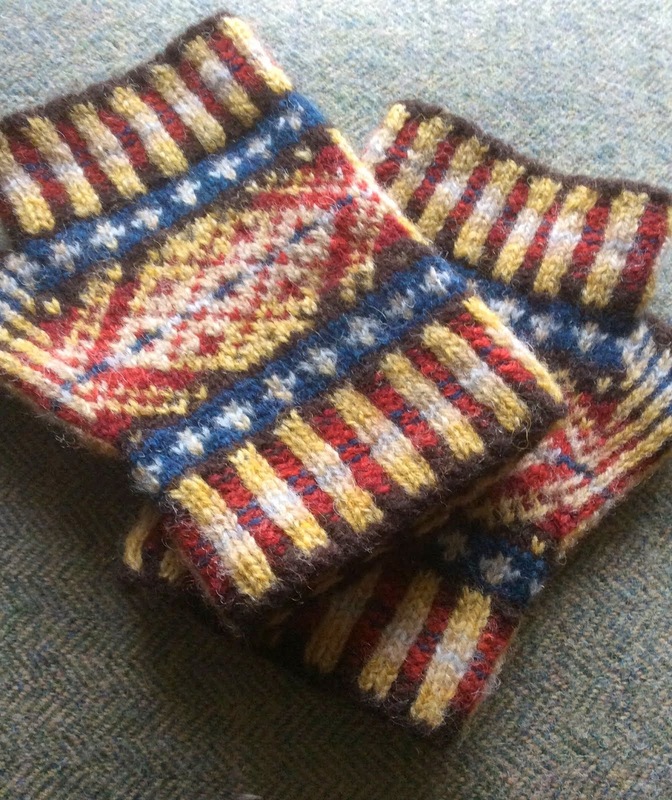 Peat smoke is the smell of home and childhood to me and I’m now sitting here buried up past nose level in a jumper that is splendidly redolent of peat and wool. It’s making me very happy and has put me in the mood for making plans... In this case garden plans. I no longer have a garden of my own; when there’s work to be done the Scottish one likes to refer to his garden as mine (though if I suggest that things need buying it goes back to being his garden and new plants become unnecessary...) but good as he is in letting me dig and weed to my heart’s content it’s not really the same. I miss having my own patch of earth to mess around with which is why this is the best time of year to read gardening books. Diacono’s philosophy that life’s too short (and gardening possibly too much effort) to grow the things we can buy easily and cheaply anywhere really appeals to me. I love the idea of growing and eating more exotic produce – especially when it comes to fruit and nuts, after all who wouldn’t want to eat an apricot picked straight from the tree? 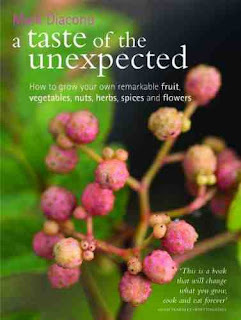 Mark started off with a couple of Jane Grigson books which helped form the basis of his personal wish list; it’s an approach that I can relate to – most my gardening desires stem from recipe’s involving irritatingly elusive ingredients but what really sets this book apart is the blending of practicality with fancy. Each plant comes with helpful advice about varieties, growing, harvesting, and of course cooking which is suitably inspirational but just before I get carried away there are also sensible warnings about – well about not getting carried away. 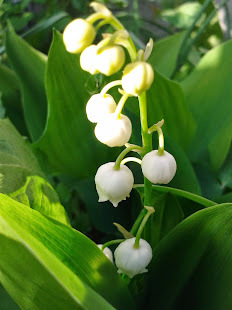 I’m urged to consider plants which will yield almost immediate results as well as ones which will take years to produce, not to reject the easy winners, to think seasonally so that there are exciting things throughout the year and plenty of other good planning tips. The expert gardener will be casting me pitying looks by now, but I don’t care – I’m getting lots of ideas and finding them in a form that gives me the confidence to have a go. Some books make me feel like I can change my life and this is one of them.